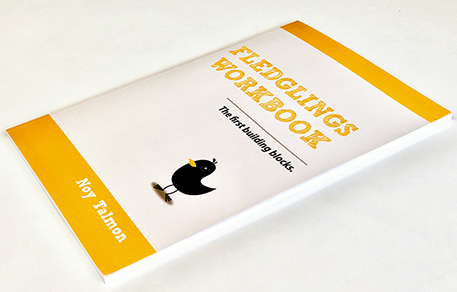 The fledglings level is a unique group assigned for first graders only. It is a group designed to fit the first grader's transition from kindergarten and provide them with the best English experience. This group teaches children the ABC, sounds and letters, phonetics and vowels and prepares them to read. The second part of the lessons is taught through many fun and creative activities that uses the English language and vocabulary through games, movement and music. This group is a preparation for our second level. The Fledglings learn and practice the ABC letters: their sounds and proper pronunciation. The fledglings learn the sounds of vowels and phonetics and slowly connect letters to words. Pupils augment their vocabulary through different fun activities and movements that fits their age and energy. A fun way to learn vocabulary is through repetition, music and movement. We use many creative activities for the fledglings that allows them to open up to the language with positive experience and gain their confidence. We also use our Fledglings Textbook to thoroughly exercise the letters and writing skills and get our pupils rolling on the first building blocks of the English language. The book includes the ABC letters and words, trace-sheets and different letter activities and games that helps our pupils remember the sounds and letters better.